Drs. Athos, Ryan and Czerniak are pleased to offer beautiful and functional smiles to our neighbors in Tinley Park and surrounding communities. John W. Athos, DDS, earned his dental degree from the Detroit Mercy School of Dentistry. He loves all phases of dentistry but is especially skilled in dental implant restoration. His advanced training in CEREC™ same-day restorations allows him to provide individualized treatment in all aspects of implant dentistry. He is a member in good standing of the American Dental Association, Chicago Dental Society, and Illinois State Dental Society. Dr. Athos is a Homer Township native and a proud graduate of Providence High School. He now calls Palos Park his home and demonstrates his commitment to “giving back” by volunteering his time and expertise at a community center in the west loop of Chicago. In his spare time, he enjoys golf and spending time with his two wonderful children. 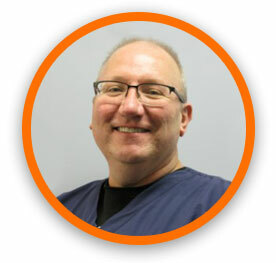 Tom Ryan, DDS, was born and raised in nearby Oak Forest, where he attended St. Damian grammar school and is a graduate of Oak Forest High School. He earned his Doctorate of Dental Surgery degree with honors from the Loyola University School of Dentistry, after earning his bachelor’s degree at Loyola. Upon graduation from dental school, he was inducted into the dental honors fraternity Omicron Kappa Upsilon – an honor achieved by only the top ten graduating dentists. Dr. Ryan has served as Associate Professor in the Department of Neuroanatomy at Loyola. 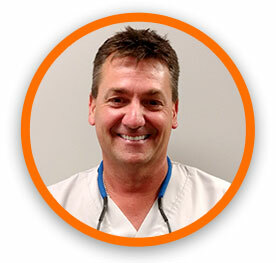 With over 600 hours of advanced courses, Dr. Ryan is constantly learning the latest dentistry techniques to keep improving his dental skills and ensure his ability to offer his patients the most comfortable options for achieving the smiles of their dreams. A consultant for dental articles in the Chicago Sun-Times and the Southtown Star, Dr. Ryan is also a fellow in the Academy of Laser Dentistry and has been interviewed by ABC News. He is involved with many charitable causes and donates his time as a dentist to serve patients in need who have “fallen through the cracks” of The System. Dr. Ryan and Cheryl, his wife of 29 years, are very proud of their three children. Rebecca is recently married and a music teacher in Schaumburg, IL. Steven just graduated from Illinois State University with dual degrees in finance and insurance. Colleen is a figure skater and senior at Carl Sandburg High School in Orland Park. The youngest is Sydney, Dr. Ryan’s five-year-old Australian Shepherd. In his spare time, Dr. Ryan loves golfing, spending time with family and friends, keeping current on the latest advances in dentistry, and rooting for all the local sports teams – especially the Cubs! 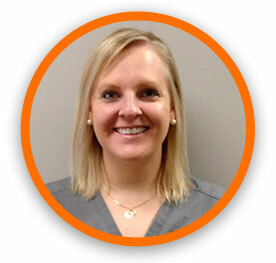 Bohdanna Czerniak, DMD, grew up in Orland Park and attended Providence Catholic. After obtaining her bachelor’s degree at the University of Illinois in Champaign, IL, she went on to achieve a master’s degree in biomedical science at Midwestern University in Downer’s Grove and her dental degree at Midwestern University in Glendale, AZ. Her professional memberships include the American Dental Association, Academy of General Dentistry, Illinois State Dental Society, Ukrainian Medical Association of North America, and the Chicago Dental Society. Dr. Czerniak especially enjoys working with kids. She also enjoys volunteering her time both locally and abroad. Her most memorable trip was when she traveled to the Kingdom of Tonga, where she had the opportunity to provide dental care to those in need. In her free time, she enjoys spending time with family and friends, running, traveling and learning about other cultures, and watching the Chicago Blackhawks. 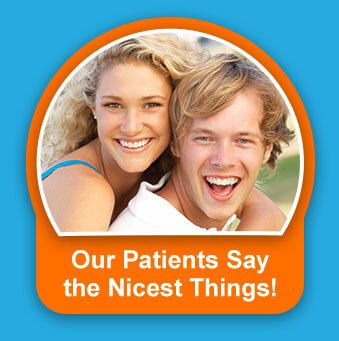 Our doctors are excited to meet you and discuss your dental needs. Call our office today at (708) 532-4131 to schedule the first step toward your healthiest smile.